So I’ve returned from my lovely break in Weymouth, rushed around the supermarket for a few bits, and realised I didn’t buy any potatoes. With lunches in mind as well as dinner, decided to do a massive tray of roasted veg and throw the few little potatoes in that I found looking miserable in the cupboard. Usually, cook beans and mash with sausages but it will be good to make something different. Nothing like a last minute change of plan but at least I’ve got some roasted veg lunches for the remainder of the week. 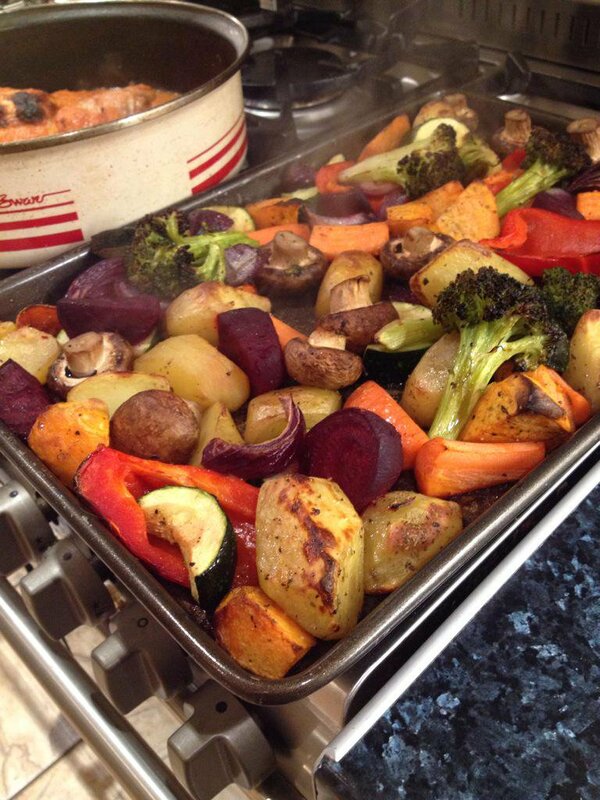 Roasted veg: potatoes, courgettes, pepper, carrot, red onion, mushrooms, herbs, seasoning and splash of oil. Enjoy! Have you any last minute recipes?